When was the last time you felt inspired to share a photo of your toilet paper on Instagram? 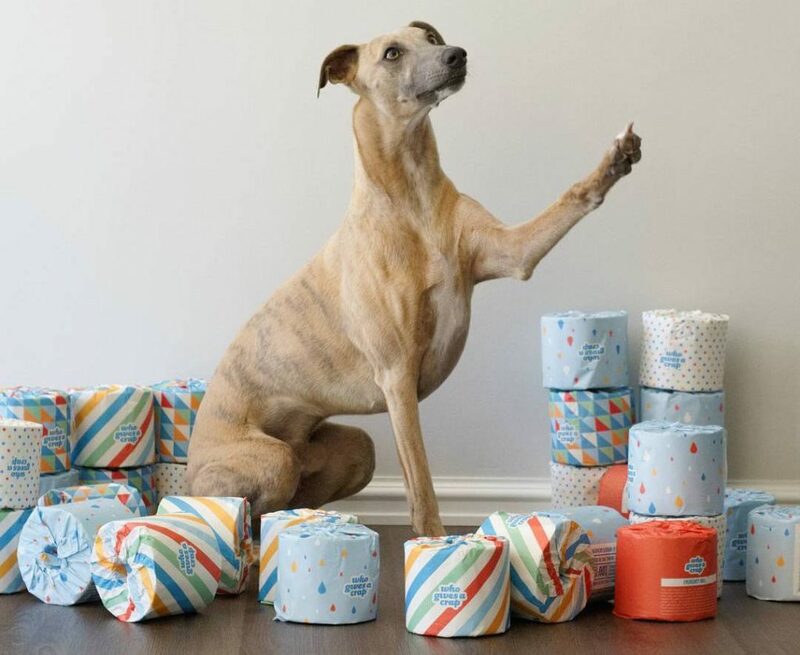 For the customers of Who Gives A Crap, a company that makes tree-free toilet paper and delivers it to your door, the urge is not uncommon: the brand is tagged in thousands of images showing adults, babies and even dogs posing with their delightfully packaged rolls. Archer the whippet posing with a fresh delivery of Who Gives A Crap toiler paper. Photo via @archer.time. "Our rolls are our greatest asset," says Who Gives A Crap's Catalina Lopera. "We made them as pretty as possible so people would proudly display them in their bathrooms. They’re kind of like mini billboards for us." 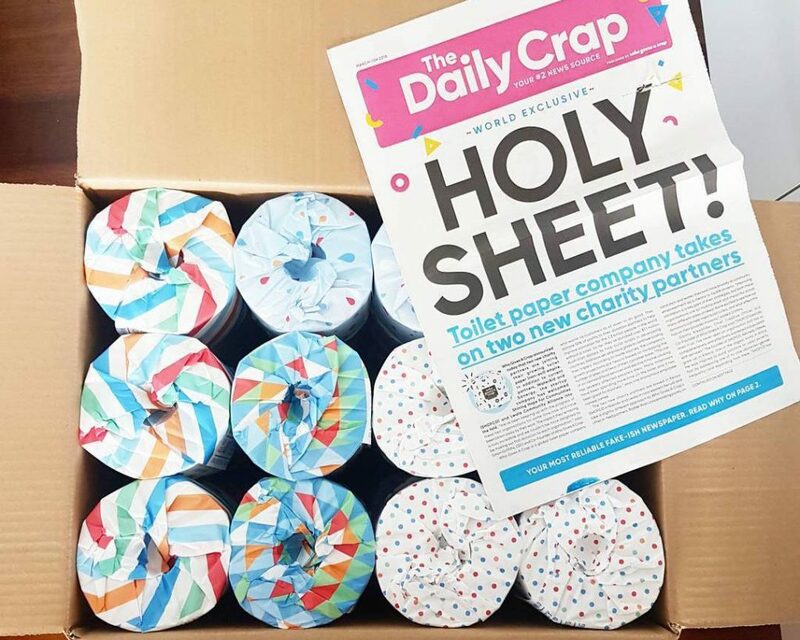 But it's not just pretty wrapping that gets customers excited about Who Gives A Crap's toilet paper – it's also their mission. 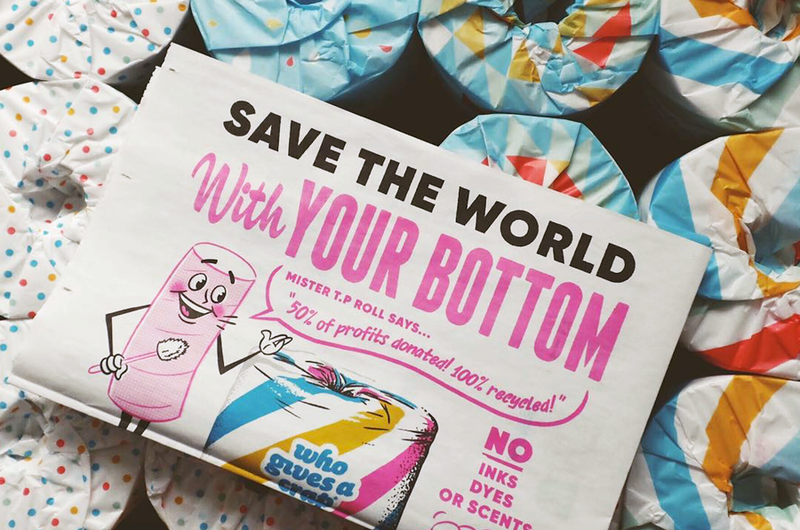 The Australia-based company launched in 2012 with a goal to make hygiene more accessible and Who Gives A Crap donates 50% of profits to help build toilets and improve sanitation in the developing world. A delivery of Who Gives A Crap toilet paper, plus The Daily Crap newspaper. Photo via functionalfitmum. They've donated over $1.1m Australian dollars to their charity partners according to their latest impact report, which they've published as a newspaper called The Daily Crap. It's printed as a traditional tabloid – on recycled newsprint, naturally – and was sent out in delivery boxes this spring. "This was a chance to give everyone our latest news in a really fun, informative and delightful way," says Lopez. With a community of customers who are eager to shout about the brand online, Who Gives A Crap wanted something that would be easy to share offline, too: "People leave papers on tables in cafes and on public transport, so we wanted our customers to be able to read it and pass it on to spread the word." The 8-page newspaper mixes real news about the company's charitable achievements with mock classified ads and playful headlines like "What Kim Kardashian can teach us about toilets". Lopez says a sample newspaper came in handy during the design process: "It gave us great inspiration for colours, font size and imagery. We were originally thinking of knocking the colours back but when we saw how well CMYK came up, we switched the palette." They also tried their hand at making a crossword – with a Who Gives A Crap twist. 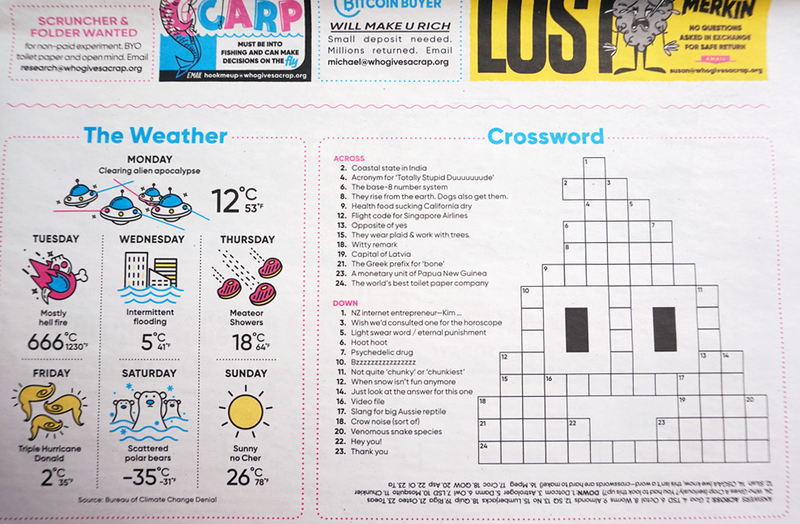 "The poo-shaped crossword was easy to design but a real challenge to create!" says Lopez. "It took two of us on the team to make it work: one of us took the top of the poo and the other had the bottom half. And even then we still had a couple of dubious question and answers. It was fun though!"